Carol’s Turtle Book Club involves good friends who were key to her recovery when faced with breast cancer in 2008. Carol finished radiation treatments the week before the 2008 Race for the Cure, and the book club decided to walk together. Team ‘Turtles for Ta-Tas’ was hatched! 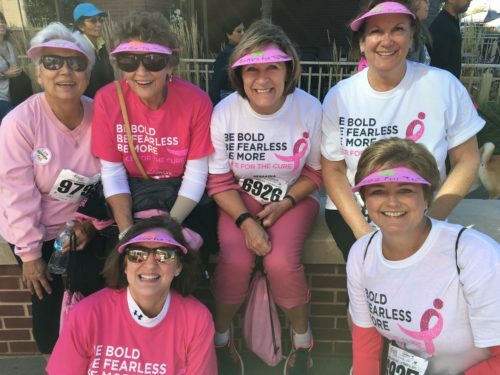 Because 2018 marked Carol’s 10-year survivor anniversary, she wanted to do something a little bigger to give back, so she asked for $10 donations from 25 people to mark 10 years. “People were just incredibly generous and exceeded my expectations and goals!” noted Carol.